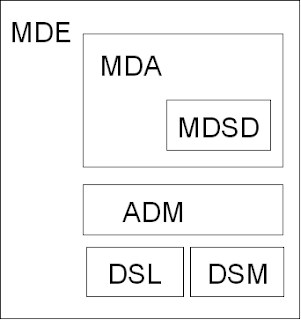 MDA4eclipse - by Etienne Juliot: MDE / MDA / MDSD / etc. OMG has defined the MDA term. But now, what a jungle ! Let's see some very simple definitions. - definition : all the process of creating softwares with a model driven approach.